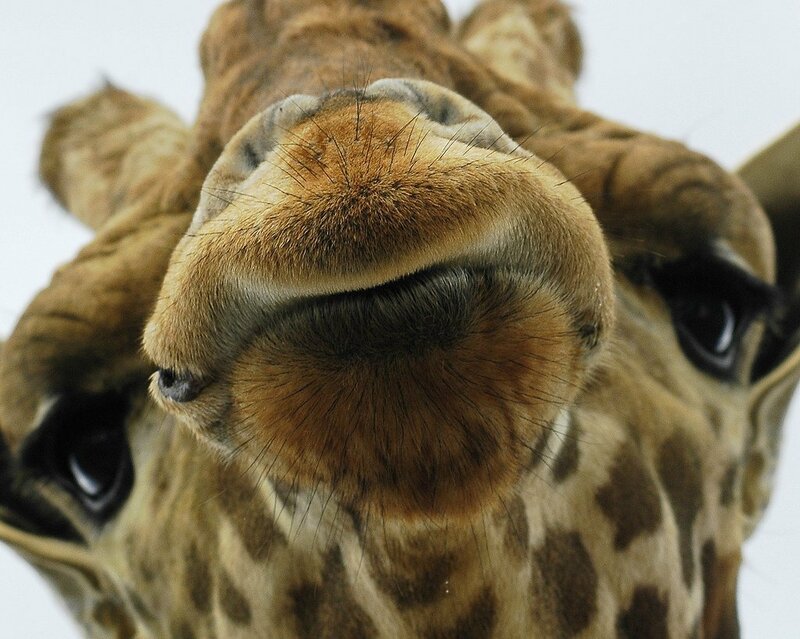 Giraffe. . HD Wallpaper and background images in the Wild Animals club tagged: nature. wild animals. I think I'm close enough to the microphone. Can I sing now ? WOW talk about 'in your face'!! !